What are repeatable quests and where are they? 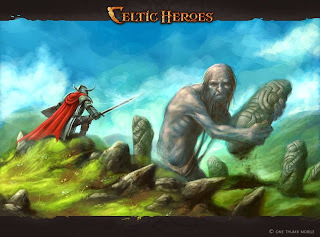 This guide will give you an overview, and a list of many repeatable quests in Celtic Heroes. These are quests that once you finish them, you can do them again for similar rewards. The item reward from the quest may be randomized. This depends on how the quest was designed. So I can do them as many times as I want? Normal Repeatable - You can repeat these as many times as you want. Example: are the fettlecap quest in Shalemont. Example: Balm quest at Temple of Belenus, Fingal's Cave camp quests, Tower floor boss quests, and the Otherworld bracelet quest to kill dogs. Example: Otherworld bracelet quest to defeat the hunter. Where are these repeatable quests? I am going to attempt to create a complete list of repeatable quests with guides. I will update this list as I go along, so at the moment this is only a partial list. Please check back often for new updates.